orbier is a semi-soft cows' milk cheese of France named after the small village of Morbier in Franche-Comté. It is ivory colored, soft and slightly elastic, and is immediately recognizable by the thin black layer separating it horizontally in the middle. It has a rind that is yellowish, moist, and leathery. The Jura and Doubs versions both benefit from an appellation d'origine contrôlée (AOC), though other non-AOC Morbier exist on the market. 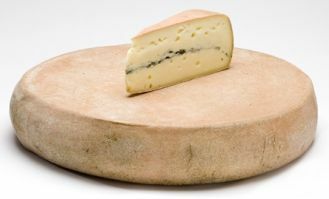 The aroma of Morbier is strong, but the flavor is rich and creamy, with a slightly bitter aftertaste.